Too Cute! 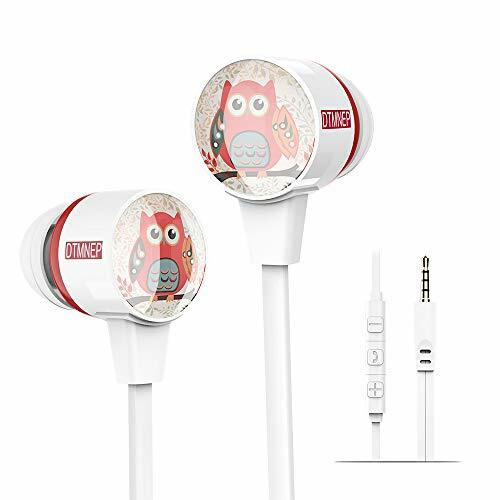 Owl Earbuds $5.99 SHIPPED! ☆Cut Owl Earphones Function: User-Friendly! Easy to Use, including volume control, pause/play capabilities, answer/end call function, Voice Control, and a smart inline microphone give you complete control over your listening experience. ☆Children Headphones Comfort: Advanced silicone ear tips in three sizes create noise isolation to reduce ambient noise for an incomparable audio experience; ensure the perfect fit for maximum noise isolation and comfort during long term wear, Parent and kid approved clear sound perfect for watching movies, playing games & listening to music. ☆Cartoon Style Earphone For Kids: Very cute Owl Design, bright color and exquisite details, in add Available in 6 different Cartoon Style options with a sleek. An unique and fun birthday gifts for kids, your kids will love it. ☆Compatibility: Compatible with any device with a standard 3.5mm headphone socket With microphone and volumn control, Use with all your favorite devices and tablets like Apple iPhone, iPad, iPad Mini, iPod, Android, Samsung Galaxy, Blackberry, Nokia, LG, HTC, Google Nexus, Lenovo, Asus, Sony, Dell, Toshiba, HP, MP3, MP4 and other audio devices and accessories. ☆30 DAYS MONEY BACK GUARANTEE: 12-month replacement warranty, 24-hour Customer-friendly Support Service. Please rest assured to buy it.